Face it: We live in a culture obsessed with post-apocalyptic fervor, and we’re not picky. We’ll take our death and destruction any way we can get it, be it at the decomposing hands of zombies, the manipulations of a dystopian government, or the indiscriminate reach of genetically-modified plague. Though Hollywood does an excellent job of convincing us that these crises are simply storyboards, we at Rift Recon know better, and we want to give you a fighting chance at survival should the unthinkable happen. Ever imagined yourself as part of a dream team of outsiders, a perfect mix of brain and brawn? Not terribly unlike the eclectic crews assembled on the big screen to break into Vegas casino vaults and explore the terrains of foreign, war-torn lands? Want to learn how to survive a kidnapping? Commandeer a boat and navigate it out of the Bay? Create alternative credentials and identities? Perform emergency medical triage? Of course you do. And Rift’s trainers, some of the industry’s most sought-after physical security professionals, have you covered. Last month was the first time that this kind of training was made available to the general public (until January, our trainings had been private and contracted or part of any number of global security conference tracks), and the training was a wild success. Each training day begins with classroom education with Rift’s experts, and concludes with real-time field training exercises to implement your new skills on the streets of San Francisco. 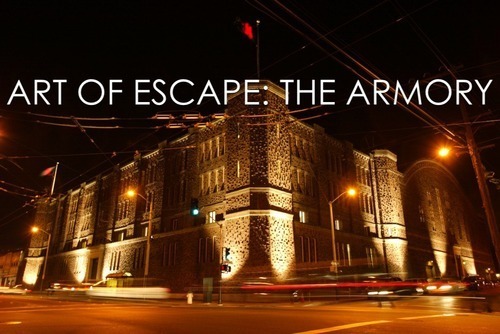 Each Art of Escape student receives a custom Urban Kit of essential gear, and emerges confident and proficient in the use of every tool. Our last training Class space is limited, so sign up now. We can’t wait to meet you. Kit: Students are equipped with all necessary gear; dress for outdoor movement. Arianna is a Staff Administrator at Rift Recon.